신화 에릭의 이중계약 논란이 제기된 가운데 SBS ‘무적의 낙하산요원’(극본 이선미 김기호/연출이용석)의 제작사 측에서 오는 16일 공식적인 입장을 밝힐 예정이다. ‘무적의 낙하산요원’의 제작사인 LK제작단 측은 14일 “논란의 여지가 있을 수 없다”고 못박은 후 “에릭의 출연에 대해 아직 결정된 바가 없다. 지금 에릭을 비롯해 몇몇 남자 출연자들을 물망에 올리고 있는 상황”이라고 설명했다. 이어 “확정된 남자 주인공을 비롯해 드라마에 대한 전반적인 것을 정리해 오는 16일 공식 발표할 것”이라고 덧붙였다. SBS측 한 관계자 또한 “에릭과 드라마 제작진과 어느 정도 호응이 맞아 출연에 긍정적인 반응을 보인 것으로 알고 있지만, 여러가지 문제들 때문에 확정되지 않은 상황”이라고 아직 확정된 바가 없음을 못박았다. 하지만 제작사와 방송사의 입장과 달리 이미 에릭은 최근 ‘무적의 낙하산요원’에 출연키로 결정하고, 대본연습에도 참여하는 등 촬영 개시를 위한 준비를 마친 것으로 알려졌다. 에릭이 이미 출연 계약을 마친 드라마 ‘스위트 가이’와 계약관계를 정리하지 않은 만큼 논란이 예고될 수 밖에 없는 상황이다. 에릭의 이번 행보는 야심차게 준비했던 ‘스위트 가이’의 방송사 편성 및 촬영 시기 등이 연기됨에 따른 것. 특히 자신을 연기자로 새롭게 인식시켜준 ‘신입사원’의 속편 격인데다 그 작품을 함께 했던 이선미 김기호 작가에 대한 믿음으로 출연을 감행한 것으로 보여진다. 이오 인해 에릭은 15일까지 ‘스위트 가이’ 제작진과 계약상의 문제를 해결한 후 16일 ‘무적의 낙하산요원’ 출연 계약을 마무리 짓는다는 계획이다. ‘불새’와 ‘신입사원’으로 가수에서 연기자로 성공적인 변신을 인정받았던 에릭이 어떤 행보를 보이게 될지 관심이 모아지고 있다. "Official Comment will be Released on the 16th"
Shinhwa's Eric has been caught in the middle of a controversial storm by being accused of signing 2 contracts at the same time. Last June Eric had made the decision to star in the new upcoming drama by MBC, 'Sweet Guy'. However early this month Eric participated in the script reading of SBS drama slated to air in September, 'The Invincible Parachuting Employee' effectively dispersing the reality of starring in 'Sweet Guy'. To make matters more serious, MBC has changed their plans to have 'Sweet Guy' follow weekend drama 'Naughty Women' and instead passed on the production to SBS. The probability that 'Sweet Guy' will follow SBS's current Monday-Tuesday drama 'More Stranger than Heaven' is high, which would then mean Eric would be starring in SBS dramas consecutively in September through a Mon-Tues drama and then a Wed-Thurs drama straight after in October, creating an unprecedented shocking situation. Currently Eric's management has stated, "We will announce an official comment on the 16th" and is not revealing which of the 2 upcoming drama's Eric has signed contracts with. SBS has stated they too will official announce their side in one week. Eric's management also added that "Eric did not officially sign on with 'Sweet Guy' so there is no real 'overlapping' contracts at this point in time". 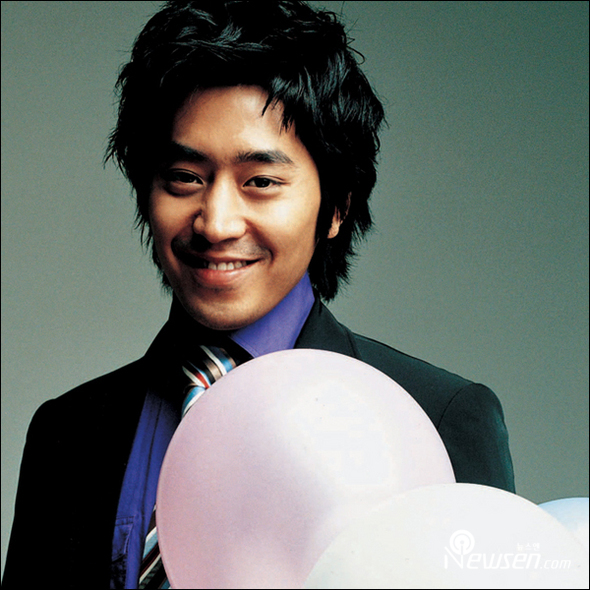 'The Invincible Parachuting Employee' has been the focus of many due to it being created by the same makers of "Super Rookie" effectively making it a "second season" of the hit drama which cemented Eric's status as an actor and earnt him the "Best Male Actor" Award in 2004. Eric has already made a decision regarding his double drama contract controversy. He has agreed to first film Parachute(Super Rookie 2) and then Sweet Guy. Eric's management company GOOD EMG has expressed that they will postpone Sweet Guy's production after numerous negotiations on the programming and casting of the series. LK group has expressed their apologies regarding the conflicts and controversy surrounding both dramas and has agreed that Parachute will be the following SBS series aired on Wednesdays and Thursdays starting 6th September. Eric's new series Parachute, will be taken up by LK group which has also produced MBC Super Rookie 2005. Parachute will be a continual story to Super Rookie. I am glad that they have finally resolved the disagreement.. and Yay!! sweet guys is back.. i can't wait for both dramas..
Are there any news about the leading lady yet? I hope it will be confirmed that Lee Da Hae will play this part. If not her, I would want to see Kim Tae Hee in this series with Eric. I heard that Eric isn't starring in Sweet Guy anymore?? Can someone confirm this? ahhh!!!! i can't wait to see this!!! this seems interesting!!!!! thanks!!!! Having already made an investment of 4.2 billion Won, the show was originally to be broadcasted on ‘MBC TV,’ yet now broadcasting is not the major issue, especially when the filming of the drama is currently in a problem state. Credits: Mangoberrie@ShinHwaChangJo.net (eng translations), 心里有鬼@bestshinhwa (cn translations), Yonhap News (source). Because producer have problem about lead actress and other problem so Eric can't wait this drama coz he will going service army in next year. So Eric is not acting in this anymore?